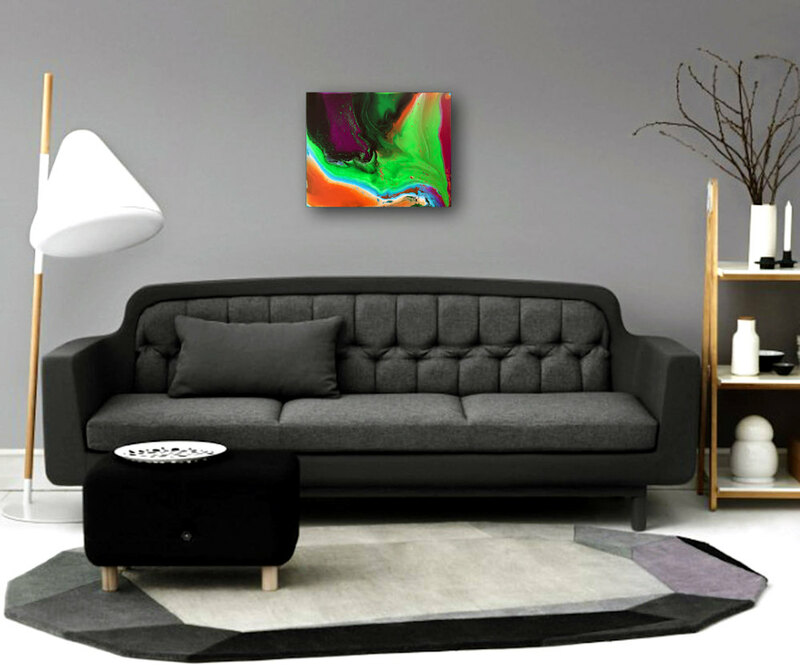 This piece is a completely unique and original abstract acrylic painting on canvas. 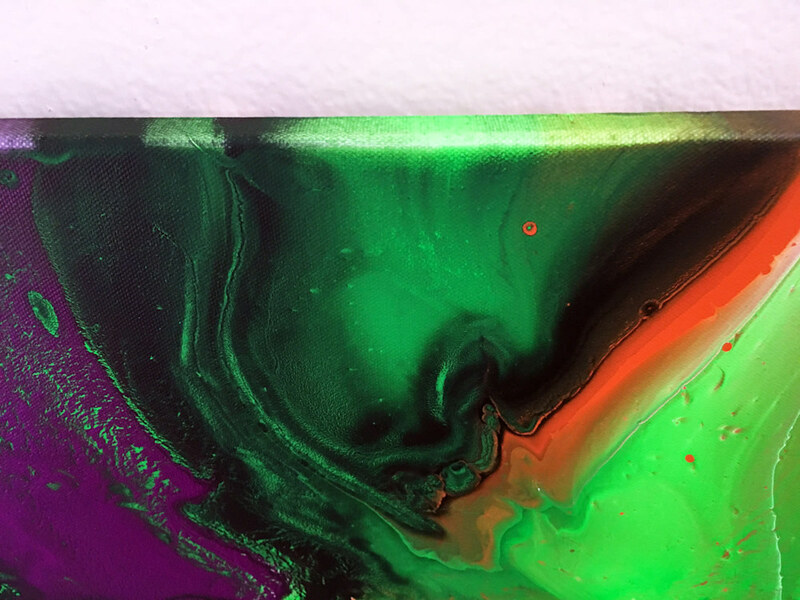 It is an exercise in fluid painting. 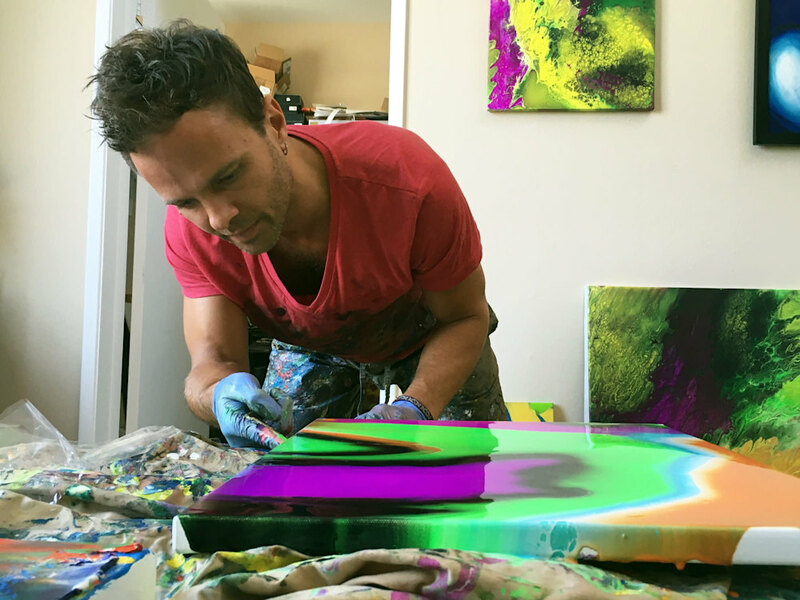 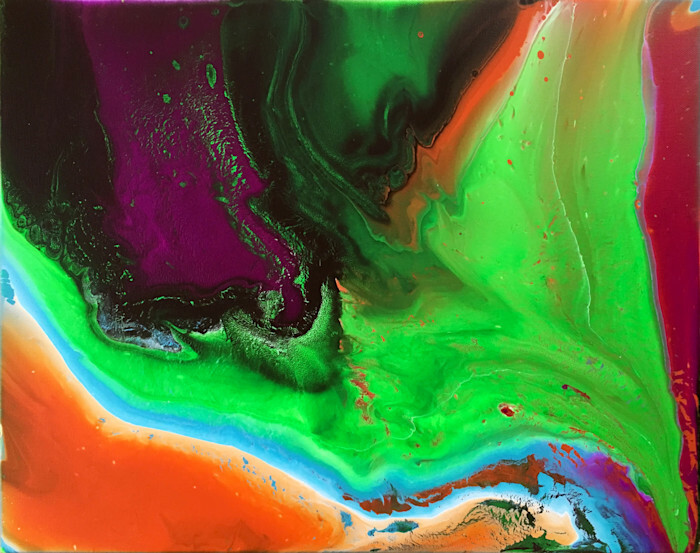 This piece is stunning in its fluorescent and vibrant color and movement. 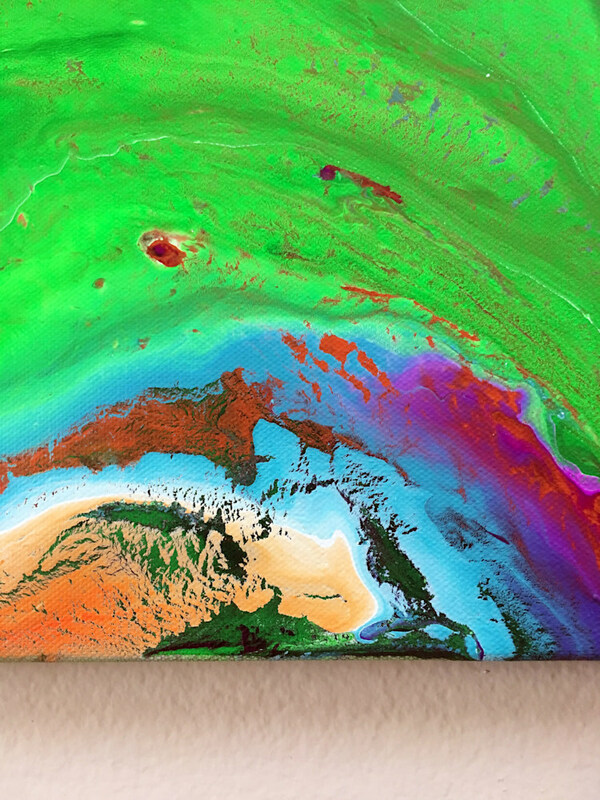 This painting has the feeling of some sort of living creature with green bristly hair. 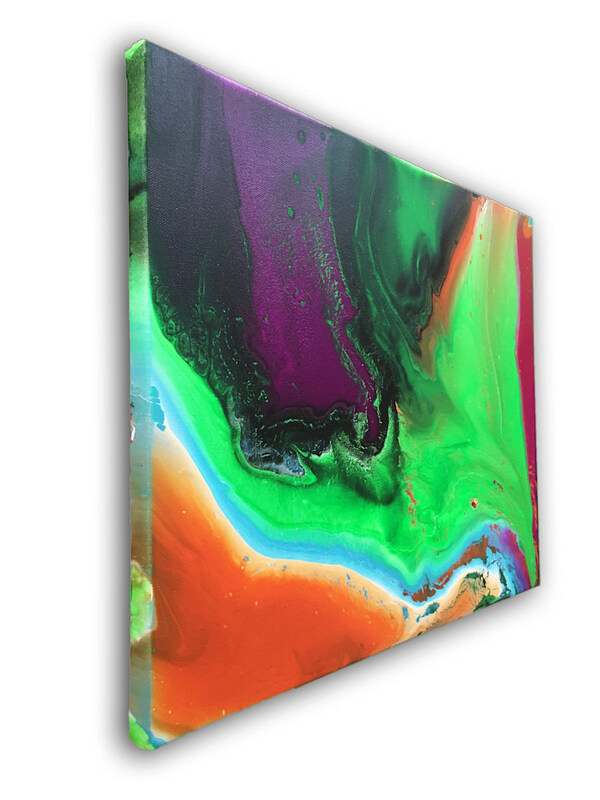 It is beautiful and dynamic in its fluorescent purple, magenta, green, light blue and a hint of orange. 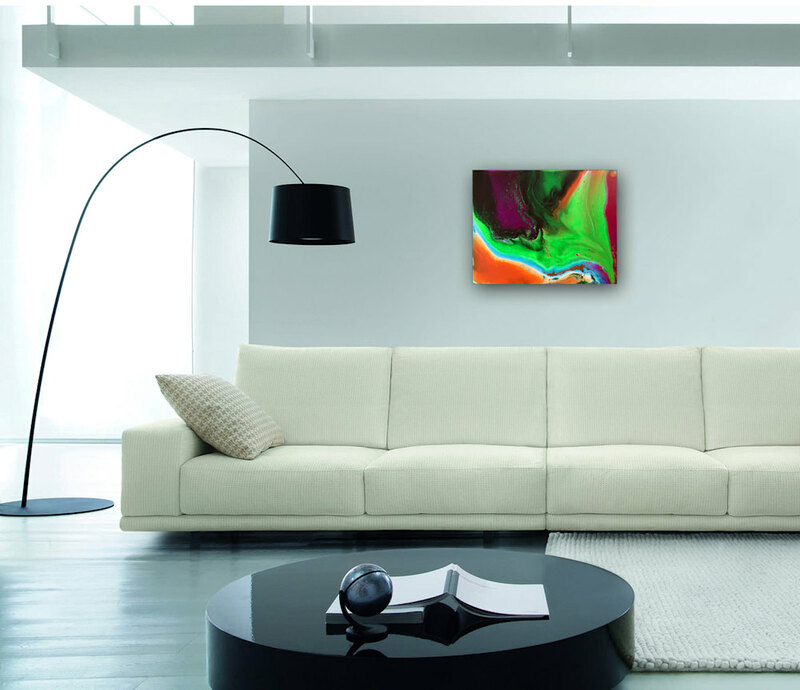 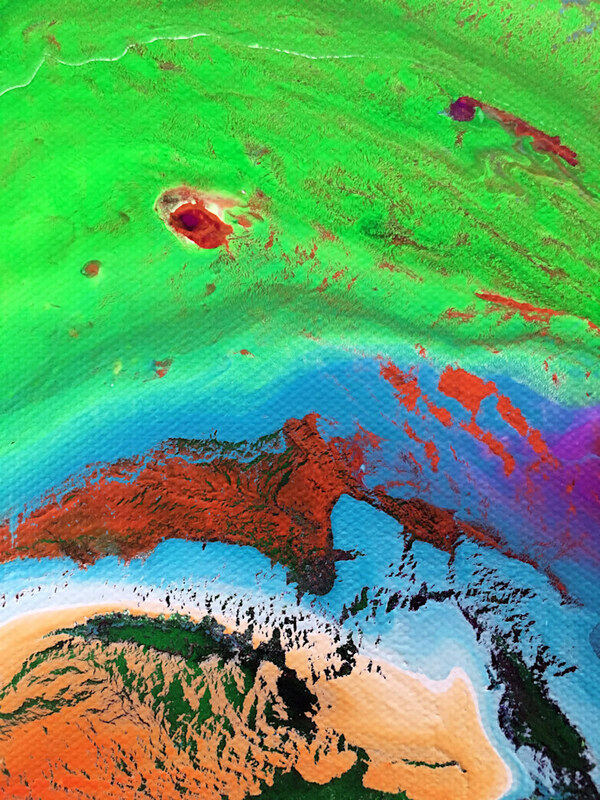 The painting brings a feeling of wonder and stunning color to the space. 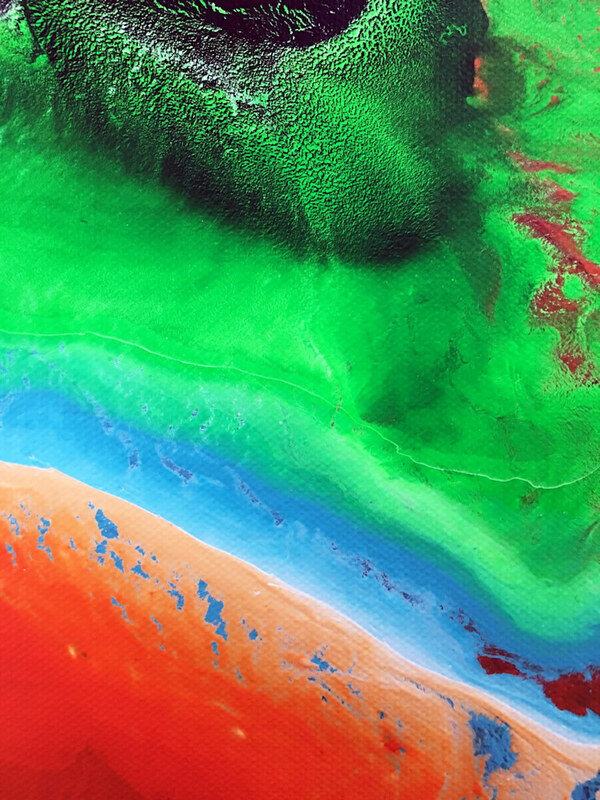 It is the 46th in my new series of abstract acrylic works.